A handsome 14K red gold bloom set with a single faceted diamond is the focus of this romantic necklace. 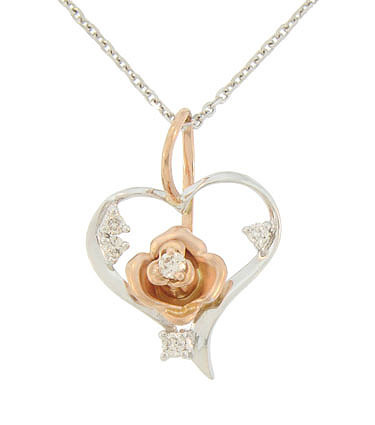 The satin finished rose is set into the base of a white gold heart. Additional sparkling diamonds ornament the brightly polished heart. 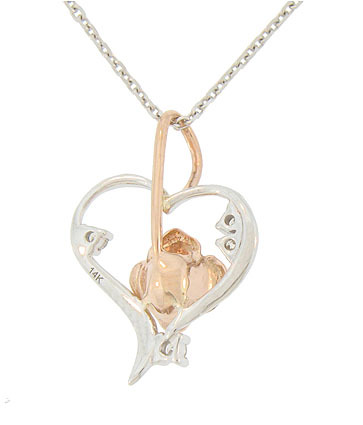 The heart pendant measures 3/4" wide, 5/8" long. The white gold chain measures 17" in length.